Here we have a relatively special beer from Brooklyn Brewing, a craft brewery located in, you guessed it, Brooklyn. While the flavour of chocolate is quite often imparted organically in the making of a stout, some brewmasters, especially in recent times, will add chocolate into the mix, post fermentation. 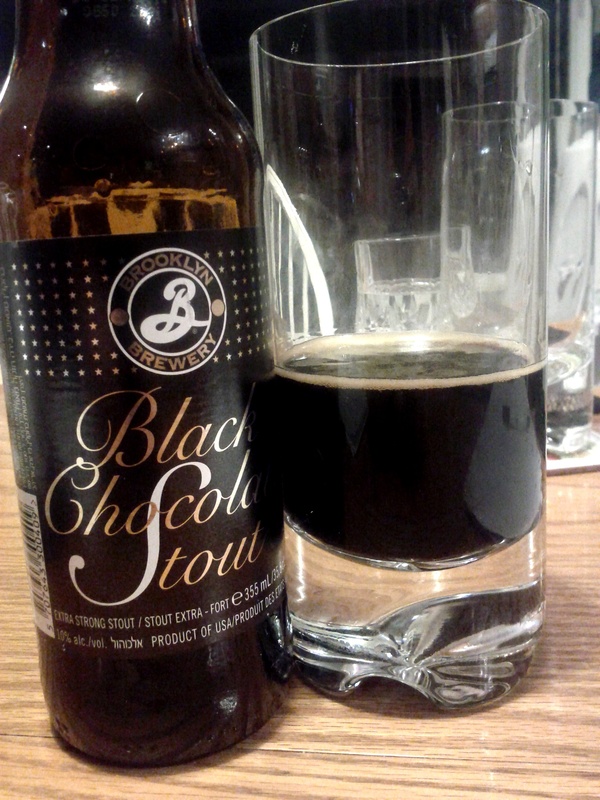 In this case, we have black chocolate added to give Brooklyn’s stout an extra little kick. I love dark chocolate, and I love dark beers: I will love this. This seems logical, right? Well, though logical, it was only partially right. I didn’t love this beer, but I did rightly enjoy it. Beneath the malty sweetness lies a noticeable, but relatively subdued, chocolate aroma. With air and a bit of warmth, the chocolate comes out more. At 10%, the beer is heavy, and, actually, a bit harsh. The alcohol unfortunately takes away from the flavour & smoothness lent by the chocolate. However, if you hold the liquid in your mouth, like how you might do with a whisky, some of the alcohol evaporates and the beer gets some air through it, making it creamier — velvety — and more flavourful. On the palate, the beer goes from having a malt sweetness, to being slightly tart, and finishes with a light hop bitterness. In all three respects, the sensations are quite mild. The finish doesn’t leave much, aside from the remaining malt tones; however, upon exhalation, the chocolate comes out more. So, drink this beer while breathing out your mouth! I am very much a fan of solid porters and stouts as I may have mentioned in previous posts, and I for one did really enjoy the richness of this particular Brooklyn brew. At 10% alc/vol. this beer has a wee bit o’ strength to it, hidden within one of heavier and certainly blackest stouts on the market. If one considers Guinness a meal in a glass and struggles to finish one, I’d likely suggest stealing a few sips from a friend who orders this as opposed to a whole pint or bottle. The aroma of the beer is one of malt and chocolate… as if anything else were to be expected?! The body is heavy and thick, with a velvety texture when held in the mouth. Certainly some level of complexity to balance the malt and chocolate, but the alcohol is evident and adds a little roughness to the mix – so not exactly a smooth sipper. Surprisingly, this stout wasn’t as chocolate flavored as I expected compared to stouts I’ve tried at craft pubs like the Alibi Room or St. Augustine’s in Vancouver. Perhaps it was the noticeable presence of the higher alcohol percentage, or the type of chocolate used, but I expected a more dominant taste in that regard. The finish was bitter followed what i can only describe as a brief tartness followed by a longer lasting mix of chocolate and slight hops. While the lack of chocolate taste and the “tartness” I sensed at the end were two detractors from the beer, it wasn’t bad at all. I did enjoy the richness of it but unlike Guinness, I could not drink more than one or two of these in a night. However, while not a stout, a local chocolate porter that’s just as good would be the Phillips Chocolate Porter which is much lighter and more chocolate tasting.